Dingtone gives you a second number for your phone without needing an extra SMS card. 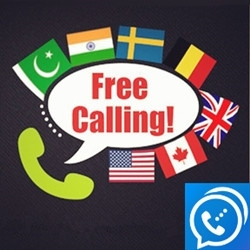 San Jose, CA, March 22, 2019 --(PR.com)-- Dingtone, with over 30 million users, is a high-volume worldwide calling app used to make over 200 million calls in the last year. The app allows users to obtain a free phone number from one of 17 countries. Dingtone is the first application to provide phone numbers in 17 total countries and can be used worldwide. On January 25th, Dingtone released phone numbers for 11 additional countries: France, Sweden, Mauritius, Poland, Austria, Indonesia, Puerto Rico, Czech Republic, Malaysia, Denmark and Romania. The app already offers phone numbers in the USA, Canada, the UK, Australia, Netherlands, and Belgium. With millions of people around the world searching for cheap or free long-distance calling, Dingtone is positioned to fill that need. With Dingtone, you can make free phone calls and send free text messages to anyone. Dingtone also gives you a free number as second line. You can call any mobile or landline phone number in over 200 countries, including people who don’t use the app. “I don't have a SIM card in my phone but Dingtone makes it possible for me to call and text using a real phone number. I can even pick an area code to choose my phone number. Plus, I can have more than just one number, that's amazing,” says a Dingtone user in US. “I love Dingtone. Since I’ve been using it I’ve cancelled my long distance calling service. Crystal clear voice and it’s easy to connect. I’m saving a lot of money,” says a Dingtone user in Canada. “Fantastic to use anytime you are connected to the internet via wifi or mobile internet,” says a Dingtone user in India. Calls and texts from one Dingtone user to another are always free. Calling non-Dingtone numbers costs credits, which can be obtained by checking in to the app, watching videos for rewards, completing simple and easy free offers and inviting friends. Credits can also be purchased for a low cost. 30 million users voted Dingtone the best calling app. Dingtone also has a 4.5-star rating on Google Play with over 468,000 reviews. Dingtone is available on Google Play and in the App Store. Click here to view the list of recent Press Releases from Dingtone, Inc.